Tanaah | That Was an Accident! Oh. Derp! 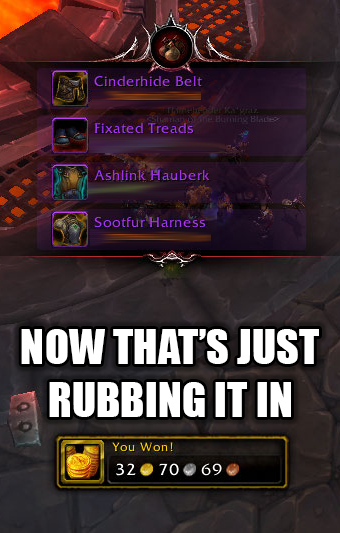 I probably would’ve picked up on that had I been doing more than pet battles and fleeing from certain death in Tanaan. The Way Blizzard Planned Tanaan: A place to do stuff that dovetails into your shipyard and other game goals! You have a bad case of Burnout, I think, although clearly some of Blizzard’s recent design choices aren’t helping. The usual cures are either a long break (at least six months), a new MMO (if it’s the game that you’re burned out on not the genre) or a new hobby altogether. On the other hand I have known people “play through” burnout and come back around to enjoying the same MMO without ever leaving. Usually that one requires something to change in the game itself though and there doesn’t seem much prospect of that happening in WoW. Maybe I should cook up some FFXIV names. i just now canceled my account. Almost can’t quite believe I did that. Still have some time – won’t run out until the 17th, but then, that’s that for now. I suddenly feel all busy now. MUST TAKE SCREENSHOTS OF ALL THE UNFINISHED MOGS. At least you’ll never have to face the Ungift situation. And hey, even though it’s insufficiently immediate-payoff-goblin-like: someday you’ll remember your days playing WoW and it’ll be the vivid busy colourful memories of the last rush, rather than the dreary grind! That’s gotta be worth it, right? Oh, I’ll certainly remember BUSY and COLOR and OMFG SCREENSHOTS, but I gotta say, I don’t think I will ever, ever, ever in a million freaking years forget RNG.